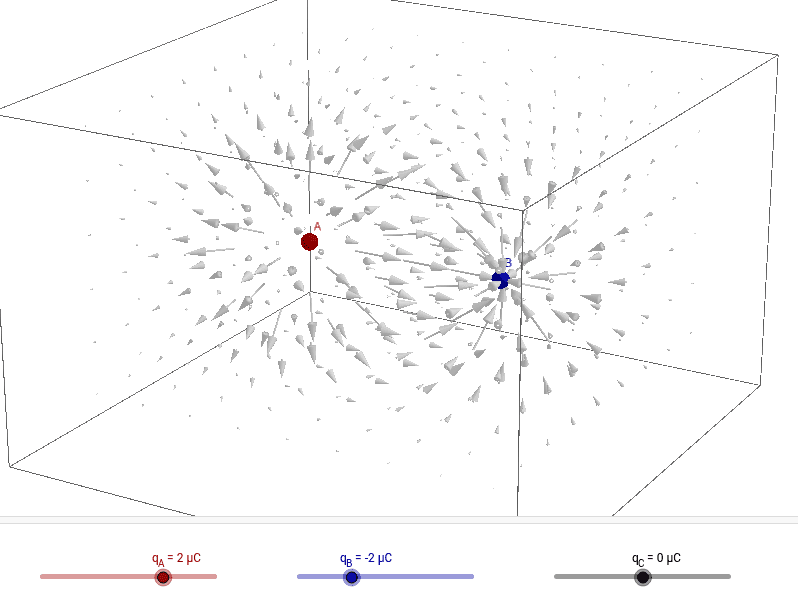 This simulation shows the electric field for up to three point charges in 3-D. The point charges can be moved by dragging. Click once to move a point in the xy-plane, and click a second time to move a point along the z-axis. Charges can be adjusted using the sliders. Set the charge to zero to hide the point. The display can be zoomed and rotated using the mouse or a touch screen. Can you make the electric field be zero at one or more locations without setting all of the charges to zero? Does the field for two negative charges look the same as for two positive charges? If not, what changes? What does the electric field look like if you put the three charges very close to each other?